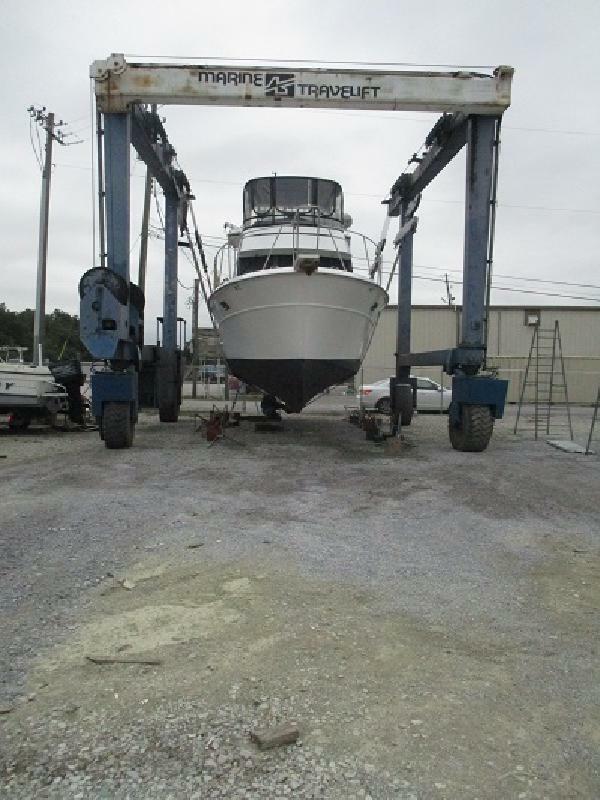 Relentless is a 1999 36' Heritage East Sundeck Trawler in great condition. She was painted with Awlgrip in 2015 and offers a single, fuel efficient Cummins 210 hp main engine, Phasor 6.5 kw generator, bow and stern thrusters, new 40 amp battery charger in 2016, full-beam master stateroom aft and upper & lower helms. 2018 replaced cutlass bearing, replaced motor mounts, repacked rudder and stuffing box, replaced battery for stern thruster, refurbished bottom, pressure washed/sanded bottom to water line, applied 2 coats of interlux ablative paint, changed zincs on shaft and thursters and waxed/buffed hull to rub rails. Draft: 4 ft. 6 in. Beam: 12 ft. 7 in.